The inaugural Barbados Independent Film Festival kicked off at the new Walled Garden Theatre at the Barbados Museum & Historical Society last night with the screening of Stephen Lang's film "Beyond Glory." If the Opening Gala was any indication of what's to come at the BIFF, we're in for quite the treat this week. The Festival features length films and shorts from around the world that celebrate the power of resilience and humankind’s capacity to overcome adversity, through an array of nightly special events, including a gala celebration, filmmaker receptions and compelling Q & A’s and workshops. We signed up to volunteer with the Film Festival as Social Media Coordinators through our company Meraki Media and it's been such an exciting experience, with an incredible team of people. Film Makers, producers, actors and directors have flown in from all corners of the globe to be a part of this event. There are over 30 films being shown at three venues: The Walled Garden Theatre, Limegrove Cinemas and the Errol Barrow Centre for Creative Imagination. Lamb (Ethiopia) - Yared Zeleke's remarkable feature debut tells the story of young Ephraim, a half-Jewish, Ethiopian boy who is sent by his father to live among distant relatives after his mother's death. Ephraim uses his cooking skills to carve out a place among his cousins, but when his uncle decides that his beloved sheep must be sacrificed for the next religious feast, he will do anything to save the animal and return home. Yared is here in Barbados and there will be a Q&A discussion after the screening. Tickets are available here. Catching the Sun (USA) - An unemployed American worker, a Tea Party activist, and a Chinese solar entrepreneur race to lead the clean energy future. But who wins and who loses the battle for power in the 21st century? There will be a panel discussion on Barbados’ renewable energy sector after the screening. Tickets are available here. Sci-Fi Double Feature - Friday the 13th will feature a great night of Post Apocalyptic Sci-Fi Thrillers and you can meet the young, up and coming filmmakers who made them at a post screening Q&A. Winner of this year's TriBeCa Film Festival Audience Award, in Here Alone (USA), a young woman struggles to survive on her own in the wake of a mysterious epidemic that has decimated society and forced her deep into the unforgiving wilderness. In the award-winning Diverge (USA)- The survivor of a deadly virus is given the chance to reclaim his lost life by stopping the man responsible for the disease. If you're into The Walking Dead, this is your jam. Tickets are available here. Award Presentations & Shorts night - A pop up film screening on Dover beach of shorts and Machel Montano's 'Bazodee' followed by a beach party. This event is FREE & Open to the Public but you must register for tickets via Paypal link. Tickets are available here. If this isn't what you imagine a Caribbean Film Festival to look like, I don't know what is. Tickets for the Barbados Film Festival are Bds$25 per regular screening and are available online or at any Ticketpal Caribbean retailer. You can also buy tickets at the door of any of these events! 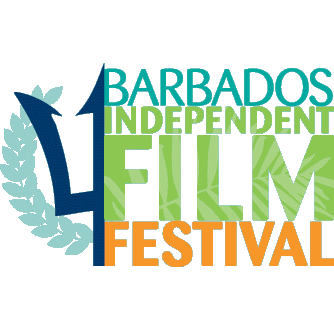 The Barbados Independent Film Festival is a registered non-profit organisation.